Growing up in Hawaii, Peyton "Lee" never imagined he would someday be a Christmas tree farmer in Oregon. After 17 years as a driver for The Bus, he was ready for a new venture.... Carroll's Island Christmas Trees. Our first trees traveled to Hawaii in 1986 as Sharon's Trees. Since then Sharon and Lee have provided trees every year to local fundraisers and retail lots on Oahu, Maui, and the Big Island. Our combined family has been an integral part of every tree season. Nathan, Stacy and Chantal all worked on the farm and helped with sales. The kids are grown and have their own careers, but make every effort to help each season. 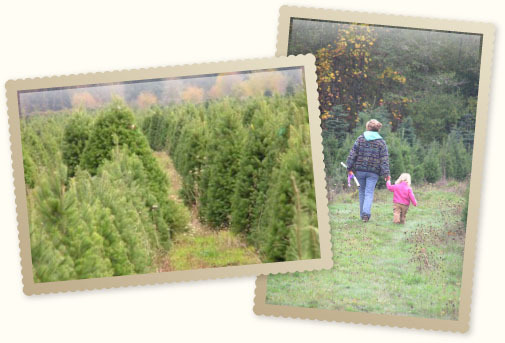 Their spouses and our grand-kids are now part of the family Christmas tree tradition, and bring new vitality and joy to our season and our customers!